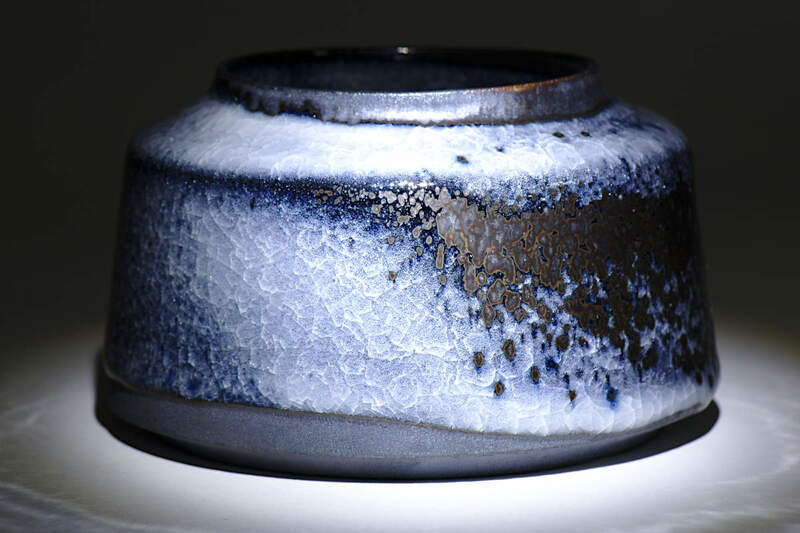 Black Ice (2018) is a wheel thrown lidded container made of an iron-rich stoneware with black, Southern Ice porcelain slip. 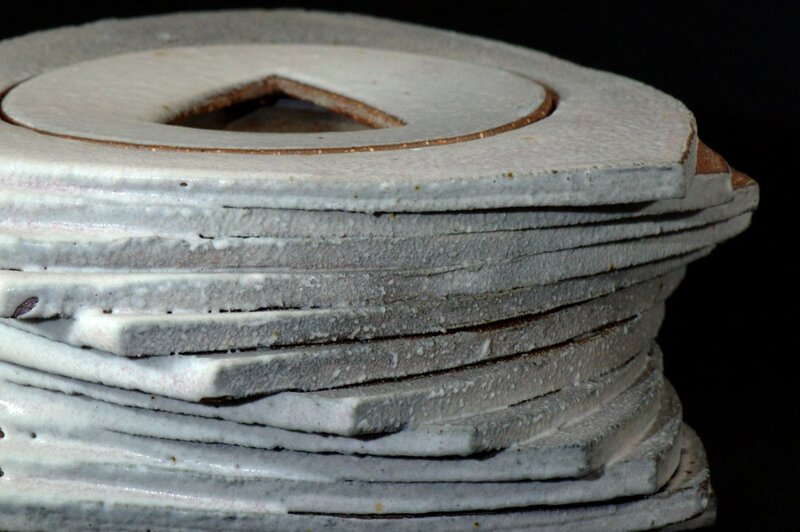 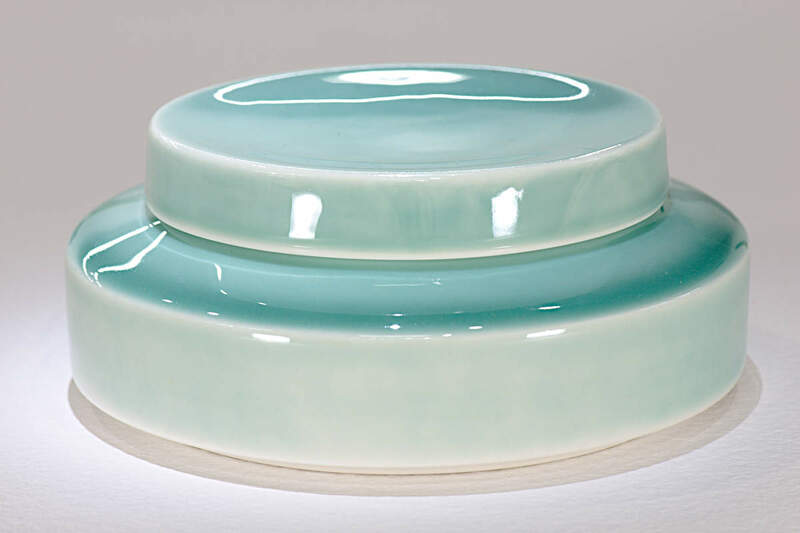 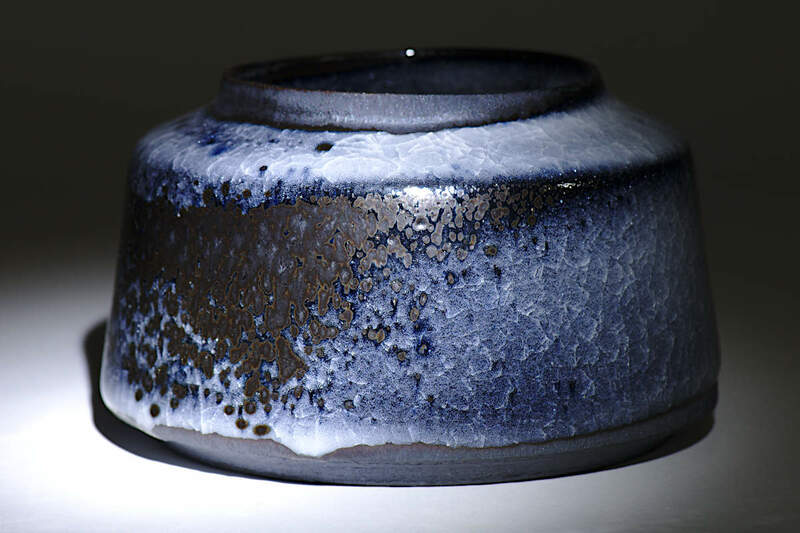 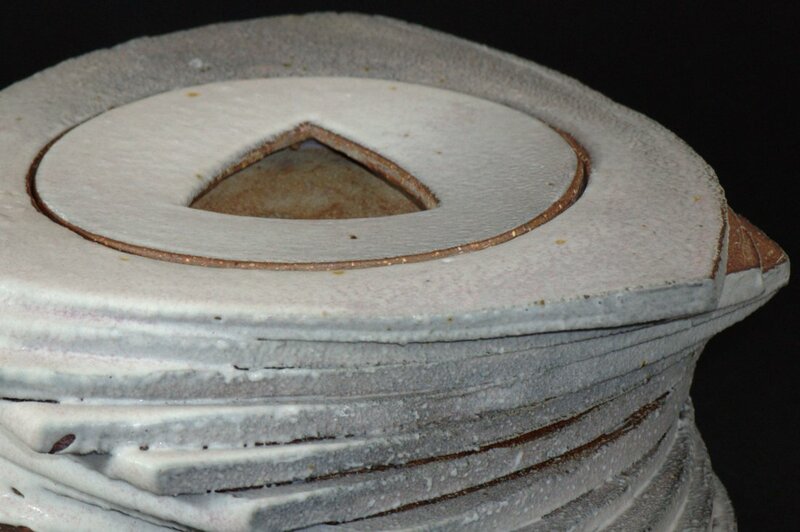 The ice crackle glaze has reacted with the slip during the reduction firing to produce these various surface effects. 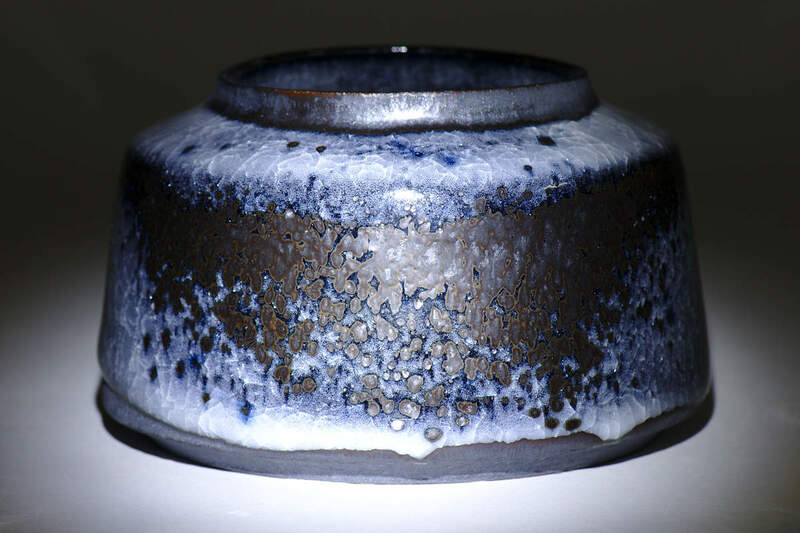 Black Ice is 13cms wide and 7.5cms high. 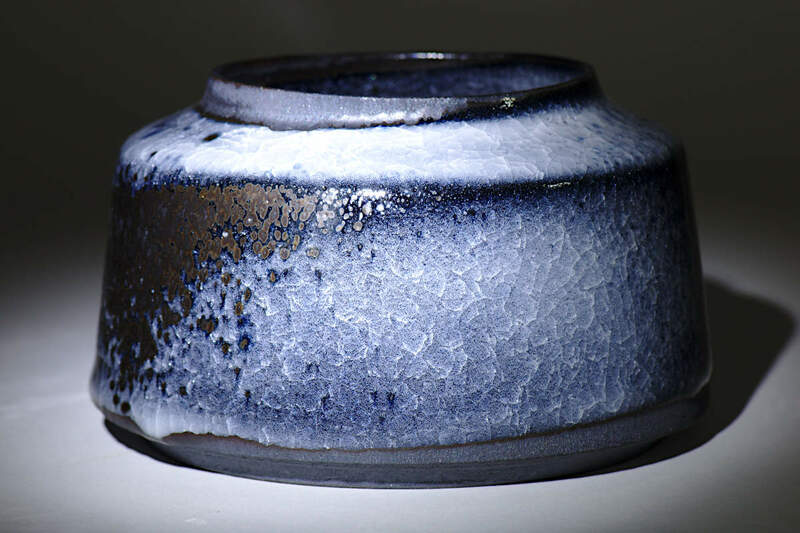 The ice crackle glaze is known by several names such as snowflake crackle and fish scale glaze, which is an indication of its broad appeal. 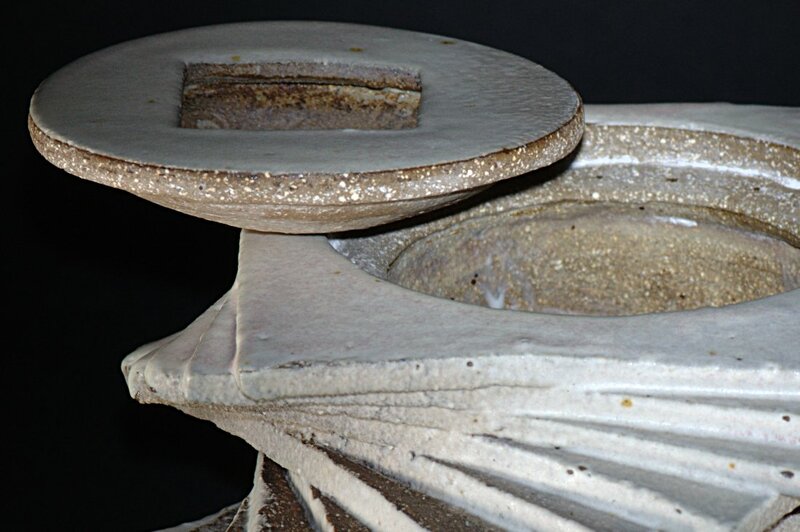 To achieve this surface the piece was fired to 1300° centigrade in a reducing atmosphere in a gas kiln. 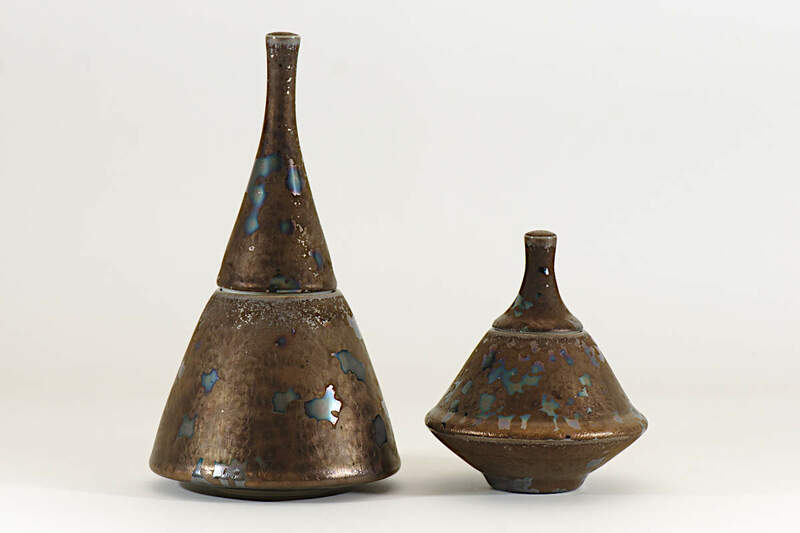 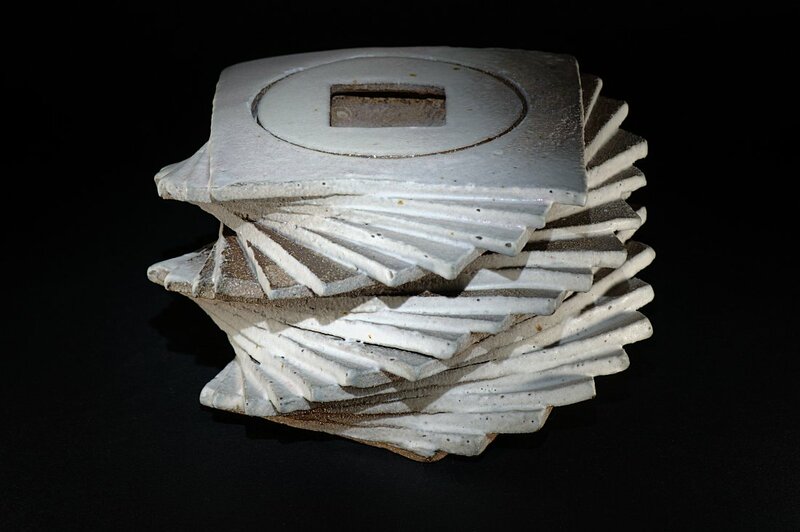 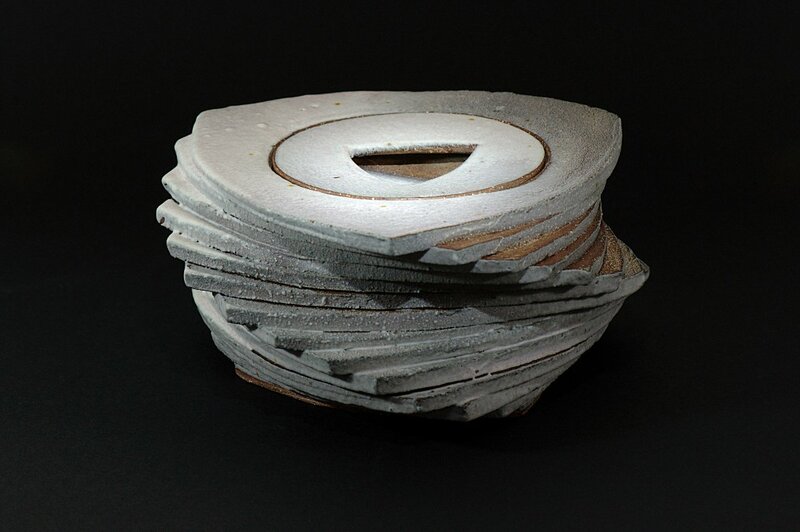 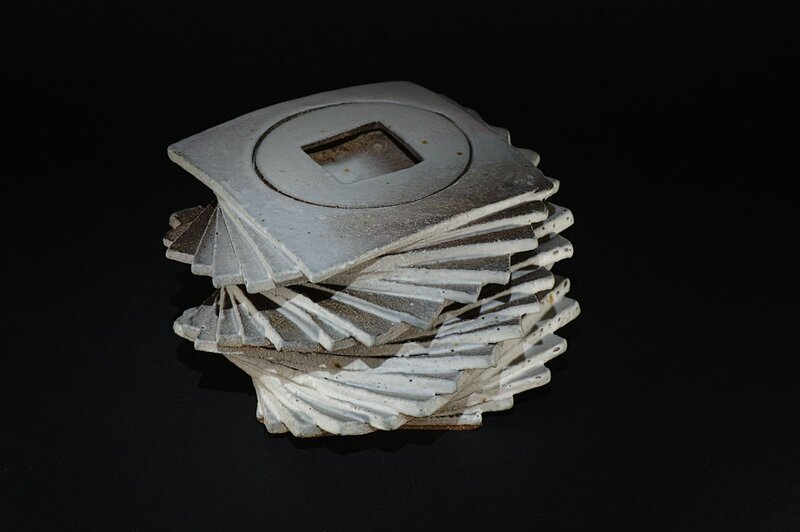 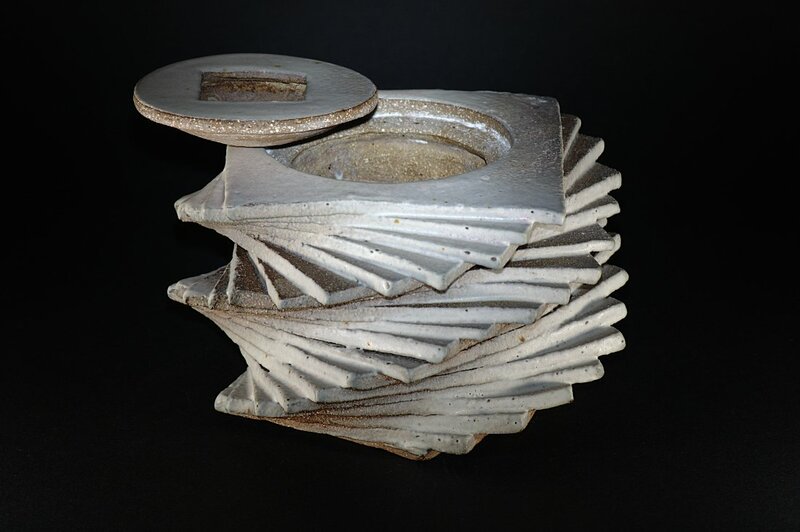 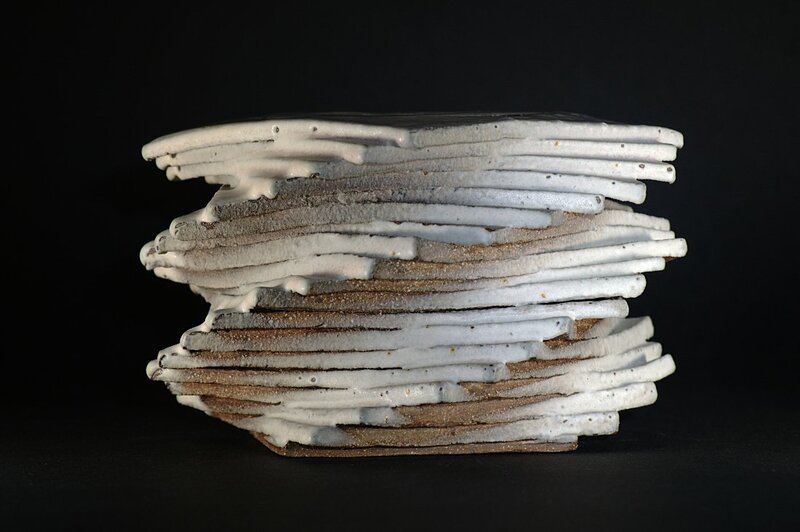 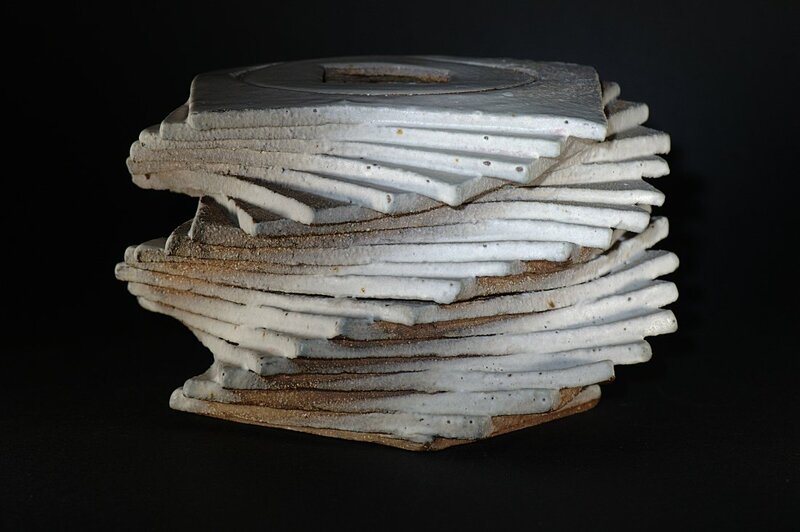 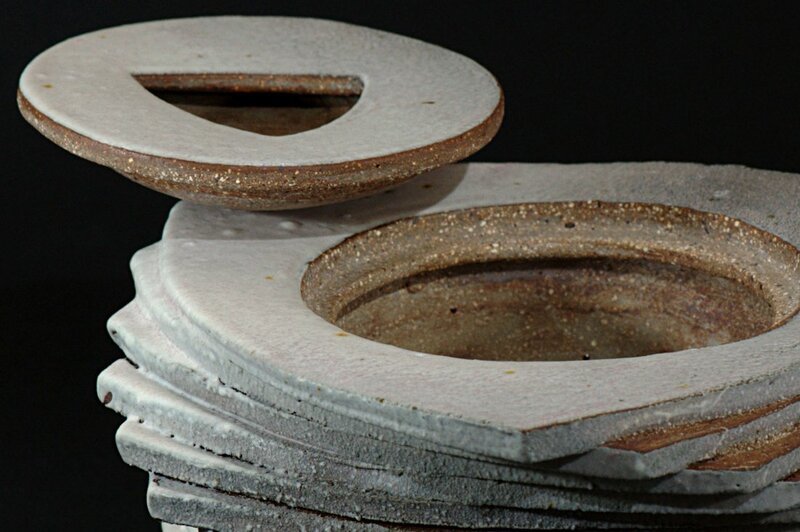 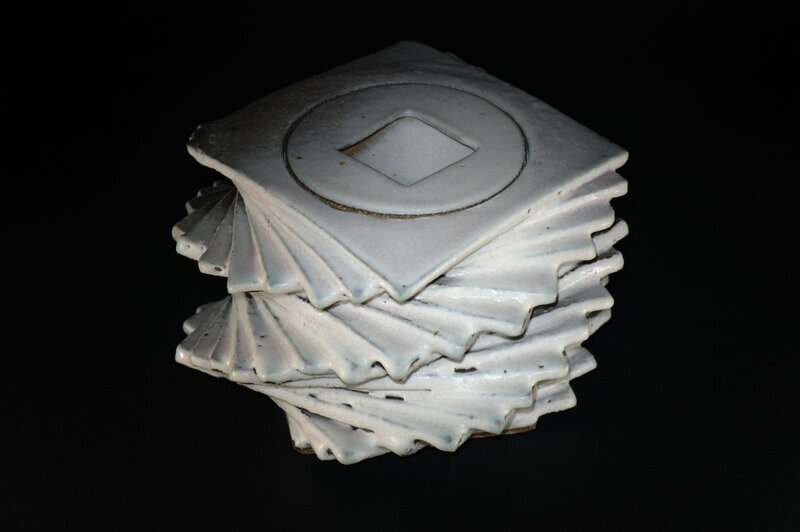 The lidded containers, Snowfrack and Icefrack, created in 2013 are hand built from stacks of slabs of iron-rich stoneware clay. 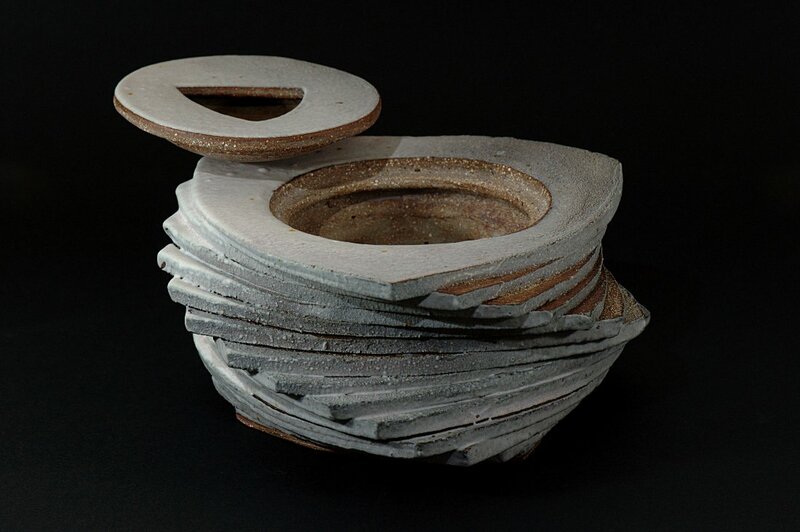 The containers were then thrown on the wheel to consolidate the interior space and to form a gallery for the lid. 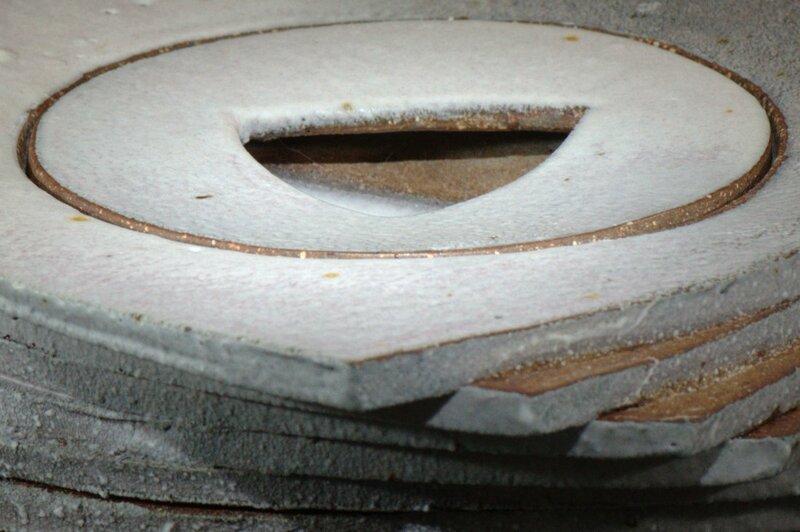 The lid has a cut out section for the fingers and a curved base. 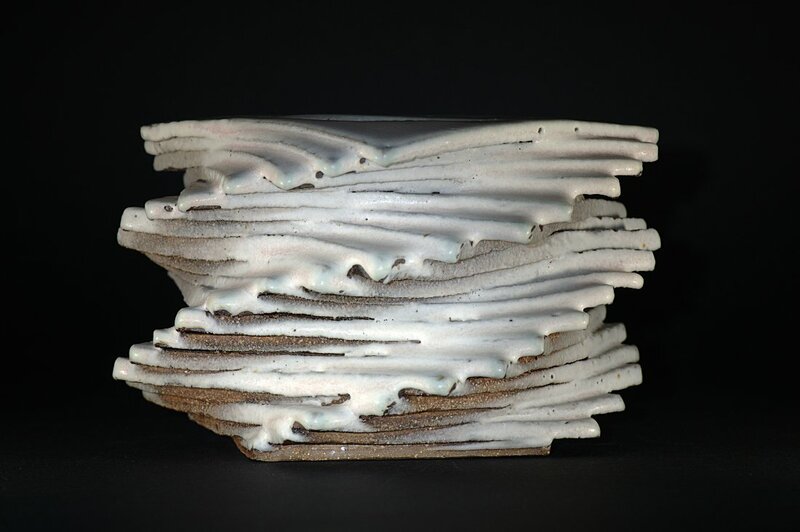 Snowfrack and Icefrack are finished with a white matte glaze sprayed from one direction only to emulate the drifting of snow. 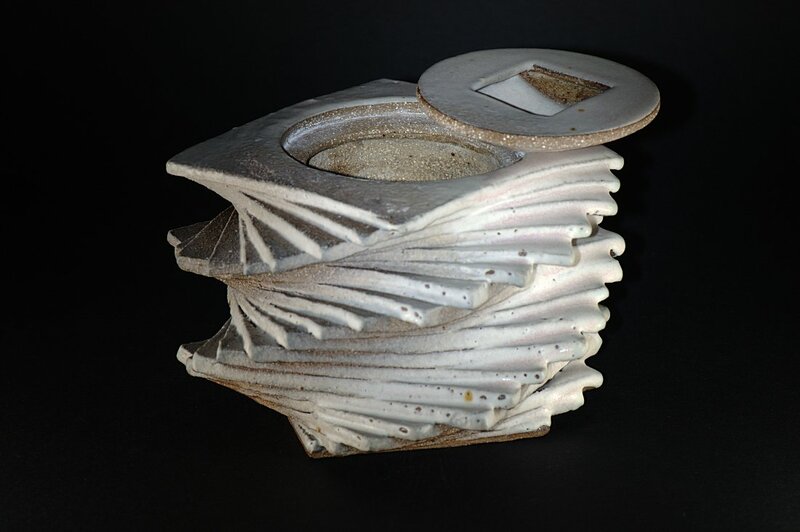 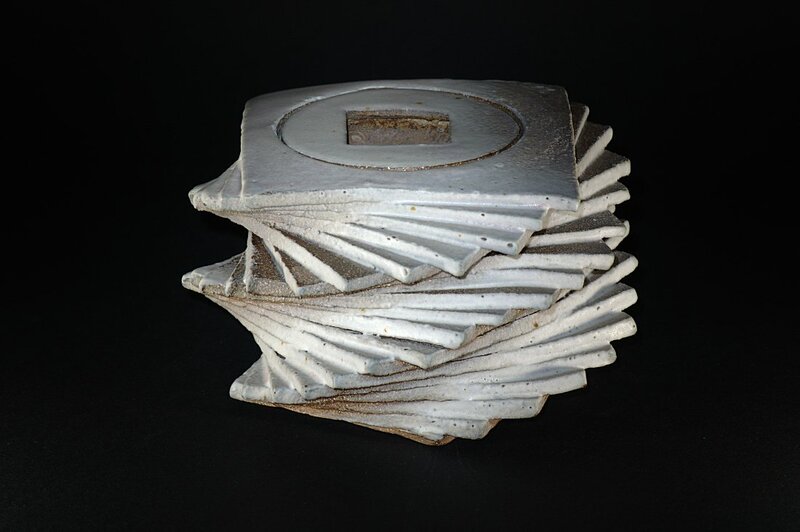 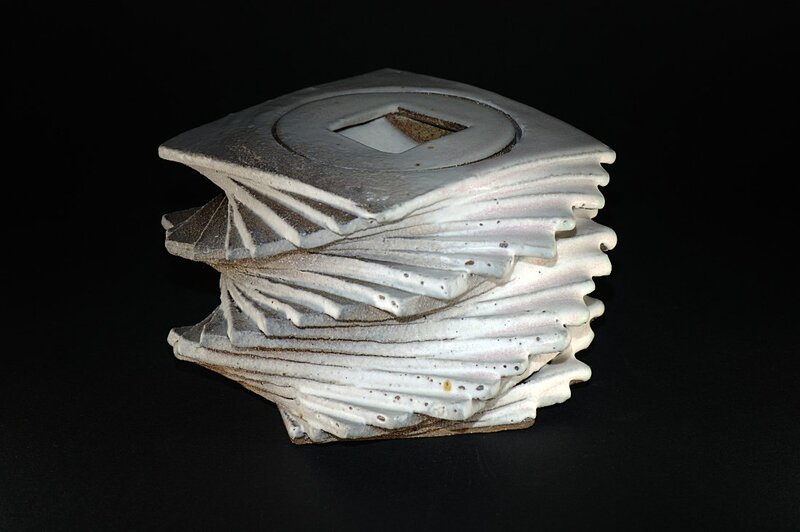 The pieces were fired to 1300°C in a reducing atmosphere in a gas kiln.